Received news this morning that the book that I have been working on for the past 7 months has now reached “RAW” status. What is RAW you ask? RAW stands for “Read As we Write”. The idea is to get the book, in soft copy format, into the hands of readers early. The goal is to get early feedback from readers with the possibility of incorporating this feedback before the book is published. This is a relatively new program from Packt but when it was presented to us we decided to get the book into the community sooner than later. I must caution that the book, in this format, is not the final version. Think of it as a CTP (Community Technical Preview) with the polished version of the book set for the end of April timeframe. The book primarily deals with Line of Business integration with popular LOB systems like SAP, Dynamics CRM, SalesForce.com, Dynamics AX, SQL Server and SharePoint. In addition to these chapters we also introduce the Line of Business Adapters Fundamentals and connecting to the AppFabric Service bus. Why write another BizTalk book? 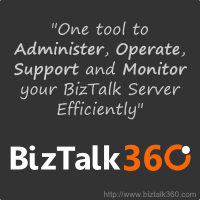 As experienced developers we understand the nuts and bolts of BizTalk. 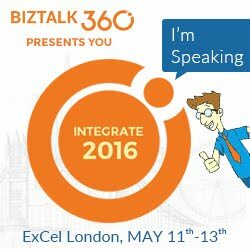 We can create Schemas, Ports, Maps and understand various BizTalk patterns. The challenge is often understanding the systems that we are integrating with. When integrating with commercial products like SAP and Dynamics there is always some pre-requisite knowledge required to effectively integrate with it. The goal of this book is to expose some of this pre-requisite knowledge so that an experienced BizTalk developer can get up to speed quickly with the technology that they need to integrate with. I can say, without any hesitation, that their efforts have significantly increased the quality of the book. For more details on the RAW program, I encourage you to visit the PACKT website. Stay tuned for more information as the actual published date nears.